Jack O’Connor speaking at the Spirit of Mother Jones Festival 2016. Photo: Niamh O’Flynn. 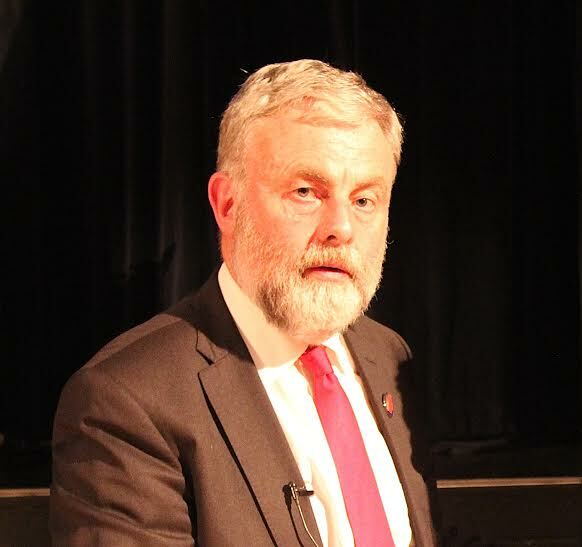 The 2016 Cork Mother Jones Lecture was delivered by Mr Jack O’Connor, President of SIPTU. Jack presented a paper entitled “A Trade Union Strategy to Win for Working People” on Thursday the 28th July, the opening night of the 2016 Spirit of Mother Jones festival at the Firkin Crane in Shandon. Jack referred to several trade union documents during the course of his talk. He has kindly forwarded the “Report of the Commission on the Irish Trade Union Movement….A call to Action“ presented at the Irish Congress of Trade Unions (ICTU) Delegate Conference in Killarney in July 2011 and“Future Positive – Trade Unions and the Common Good” also from the ICTU in 2013 and which are available from the links to same at the end of this page. The Cork Mother Jones Committee wish to thank Jack O’Connor for delivering the 2016 Cork Mother Jones Lecture. Speech at the Mother Jones Festival, Cork by SIPTU General President, Jack O’Connor.